Orthodontic braces were invented in ancient Greece, and although today’s orthodontic devices are more sophisticated, their goal is the same. Braces apply constant pressure to gradually move teeth into a desired position. They correct cosmetic problems like crooked teeth and functional issues like misaligned bites. Two forms of orthodontic braces are commonly used today. Traditional brackets, which are attached to the front of each tooth, are made from ceramic, steel, or plastic and are connected by wires and elastic. Lingual brackets are attached to the back of each tooth. 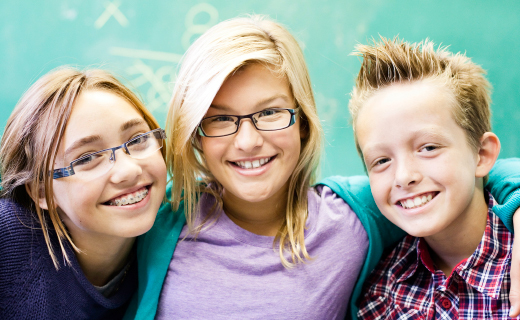 Benefits of Orthodontic Braces: Can They Help My Child? Although many parents take their children to an orthodontics clinic for strictly aesthetic reasons, there are other benefits to wearing braces. Having straight teeth allows your child to eat and speak more effectively. Because they are easier to clean, straight teeth are less likely to decay. They also reduce the pressure on gum tissues, and improve overall oral health. Addressing malocclusion earlier in life makes it much easier to correct, and the effects of improved self-confidence can make a dramatic impact on your child’s social life and emotional well-being. Should I Head to My Local Orthodontics Clinic? Deciding whether your child needs braces or not is easier with the help of your general dentist or a qualified orthodontist. If your child has severely crooked teeth or has other serious problems that could interfere with his or her ability to eat and speak properly, the decision to wear braces can be a life-changing event. If only minor cosmetic flaws are present, you may wish to weigh the pros and cons. To find pediatric orthodontists in Virginia who are highly rated, ask your family dentist, your friends and neighbors, and others about their experiences.